Classic car loans can be obtained online through one of the many lenders that specialize in classic and exotic autos. Many people feel that purchasing a classic car is the same as making an investment because the appreciation in certain models has grown up to 15 percent a year. Compare this to the 6 percent interest you'll likely be paying on your classic car loan, and the premium can be worth the return on investment. A speciality classic car lender can better understand your needs as a classic car owner. Since the blue book value of a classic car may not reflect its true value, a specialty lender will be better equipped in approving a loan. Some specialty lenders may require the classic car to be 25 years or older, with some exception for exotic cars. 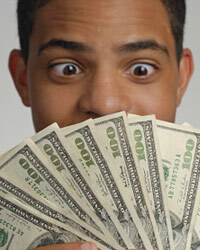 They can approve the loan faster than a traditional lender or even offer a lower interest rate. Depending on the price of the classic car, the specialty lender may even be able to offer the borrower a loan term longer than what would be found at a conventional auto lender. There’s also usually no prepayment penalty. You shop around online to compare interest rates. When you are attempting to obtain any kind of financing, a high credit score will always make the approval process easier. In addition, you'll be offered a good interest rate on your classic car loan. There are some classic car lenders that will work with borrowers with less-than-desirable credit. They can offer different terms, rates and down payment options. The type of car you intend to purchase will also determine how much down payment is required. The minimum is usually about 20 to 30 percent. Once you are approved for your classic car loan, you will receive a pre-approval letter stating the loan amount, interest rate and loan term. You don't have to have the car you want to buy already selected, since a pre-approval letter is usually valid up to 60 days. The letter can be provided on request at classic car auctions, at a dealership or to a private party. An inspection will be required before a lender will fund your classic car loan. The inspection service must specialize in classic cars. They will be able to determine if the model is an original, which will confirm the value your lender has given the classic car. In the case that the borrower defaults on the loan and the car is repossessed, the lender wants to ensure that the car will be worth the amount of the loan. Your lender will require you to register your classic car and have a title issued. For states that do not issue car titles, the chances of obtaining a classic car loan are decreased. Also, if your classic car is located in another state, you may want to consider the cost of shipping the car to you or traveling to pick it up when you are in your loan approval stage. Your lender may be able to factor the inspection and shipping or traveling expenses into your loan amount.